It should be double stranded. This excludes structures such as G-quadraplexes, which do have some parallel strands. It does not have to be an extended helix. I don't have any specific length restrictions, but don't assume it needs to be hundreds or even tens of base pairs long. The structure need not be solely composed of DNA. If a parallel helix is induced by, say, protein or small molecule binding, so be it. By "functional examples", I mean that the parallel structure should have some effect on cellular processes. The structure can be studied in vitro, even using synthetic constructs, but it should have some functional significance in vivo (or, at least a proposed significance). Note that although I only mention DNA above, papers discussing parallel RNA double helices in the same spirit would also be welcome. Related question: why is DNA antiparallel? Can it be parallel? Surprisingly, a parallel DNA duplex has been reported! In a paper, Tchurikov et al have reported the presence of parallel complementary DNA in the non-coding region of alcohol dehydrogenase gene as well as between two Drosophila DNA sequences. The region, which is ~40 bp long, has 76% bases in same polarity along with complementarity. However, its presence in vivo and its significance are not known (they observed its existwnce in vitro). Tchurikov et al, in another paper, have reported that parallel complementary RNA in E. coli plays some role in RNA interference and is indeed more effective than antisense RNA in silencing mRNA for gene expression regulation. They also propose the presence of such a system in vivo in E. coli cells. (Seemingly, this paper alone is enough to answer your question since it fulfills all your criteria). In another paper, Szabat et al have shown that DNA, 2'-O-MeRNA and RNA oligonucleotides can adopt parallel duplex configuration at pH 5 and lower. Also, presence of LNA stabilizes parallel duplex configuration. This might seem helpful in processes such as RNA interference, though this study too was in vitro (obviously, in vivo LNA is not known). Many such papers, like Westhof et al, Mohammadi et al, etc. have reported the presence of parallel duplex DNA. 4. Westhof, E., and M. Sundaralingam. 1980. X-ray structure of a cytidylyl-3′,5′-adenosine-proflavine complex: a self-paired parallel-chain double helical dimer with an intercalated acridine dye. Proc. Natl. Acad. Sci. USA. 77:1852–1856. 5. Mohammadi, S., R. Klement, A. K. Shchyolkina, J. Liquier, T. M. Jovin, and E. Taillandier. 1998. FTIR and UV spectroscopy of parallel-stranded DNAs with mixed A-T/G-C sequences and their A-T/I-C analogues. Biochemistry. 37:16529–16537. All articles I found discussing parallel helices are purely speculative with regards to biological significance; but, they are still interesting. Here are some that I found, in addition to the other answer. Safaee N, Noronha AM, Rodionov D, Kozlov G, Wilds CJ, Sheldrick GM, Gehring K. 2013. Structure of the Parallel Duplex of Poly(A) RNA: Evaluation of a 50 Year-Old Prediction. Angew Chem Into Ed 52:10370-10373. As the great majority of eukaryotic messenger RNAs (mRNA) are tagged with 100 to 250 adenines at their 3′ end, the polymorphism of poly(rA) is also relevant for present day cellular processes involving mRNA translation, storage, and decay. Under conditions of cell stress, cellular mRNAs are transported into RNA granules, increasing the local concentration of poly(rA). It is possible that nature evolved proteins such as PABP in part to regulate the occurrence of poly(rA) duplexes in cells. Taylor WR. 2005. Stirring the primordial soup. Nature 434:705. Some mechanisms for replication in the RNA world have been put forward, and following the current systems of protein polynucleotide synthesis, all involve the creation of a complementary daughter strand using Watson–Crick base-pairing. But from a mechanistic viewpoint, such a model contains a fundamental problem: if a ribopolymerase were to make a complementary copy of itself, it would need to recopy this to obtain a new functional ribopolymerase. This implies that both the ribopolymerase sequence and its complement would have to coexist. 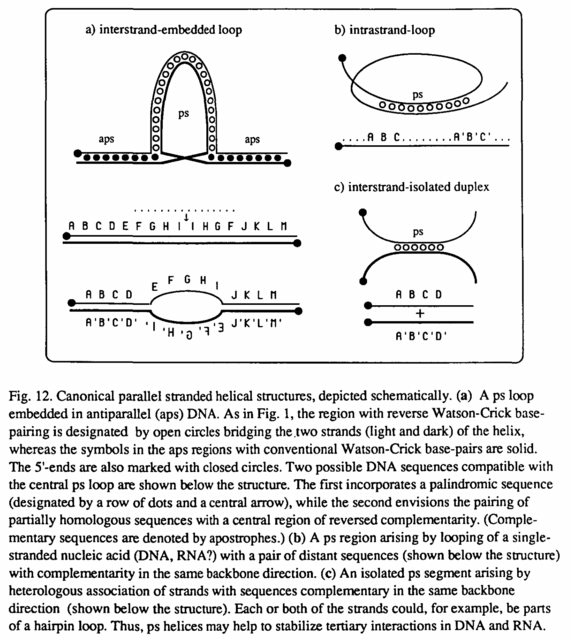 But if these two copies came together, the result would be a double stranded Watson–Crick helix (as found in some RNA viruses) — not a new ribopolymerase. Even if both sequences had well determined secondary structures, the perfect complementarity of the Watson–Crick pairing would act as a sink, leading to a sterile population of double-stranded molecules. Taylor WR. 2006. Transcription and translation in an RNA world. Phil Trans R Soc B 361:1751-1760. Replication strategies. (a) Replication via a reverse complementary strand leads to (b) a stable double-stranded duplex if the two copies meet. (c) Replication via a parallel complementary strand leads to (d) a relatively unstable double-stranded duplex if the two copies meet. ...all that need change from the viewpoint of replicase is the direction of its progression along the template. The resulting transcript could only be expected to base pair with the template over a short region before parting, but, faced with the problem of irreversible hybridization, this would be a desirable feature of the model. Other functions have been proposed for ps-DNA in gene expression, recombination, RNA processing (14,18,20), the packing of single-stranded and dimeric viral genomes and the function of reverse gyrase (12). Ramsing NB, Jovin TM. Parallel stranded duplex DNA. Nucleic Acids Res 16:6659-6676. The possibility that ps-RNA might exist is intriguing in view of the rich structural and functional repertoire of RNA species in general. 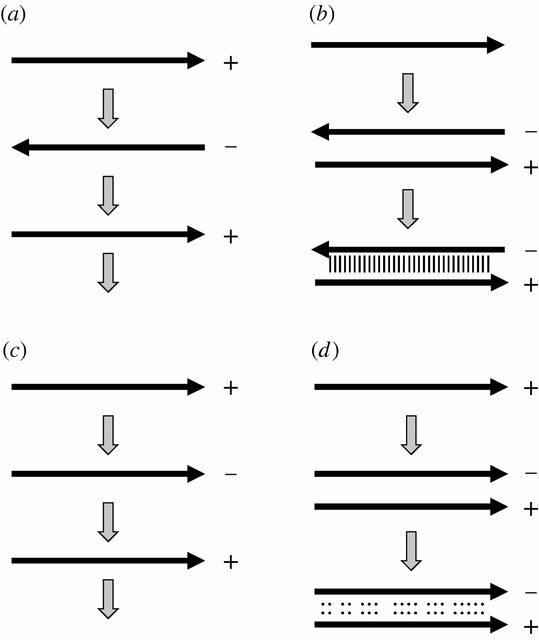 Three canonical situations in which ps helices could arise by interactions of wholly or partially homologous strands or looping of single stranded nucleic acid of appropriate sequence are shown in Fig. 12. The topological implications of such structures are of great interest, particularly in relation to the potential roles of ps-DNA and ps-RNA in (nonhomologous) recombination, RNA splicing, stabilization of ribosomal RNA, and other cellular processes. In addition, it can be anticipated that specific ligands, particularly proteins, could intervene in order to stabilize and exploit the parallel stranded conformation. Not the answer you're looking for? 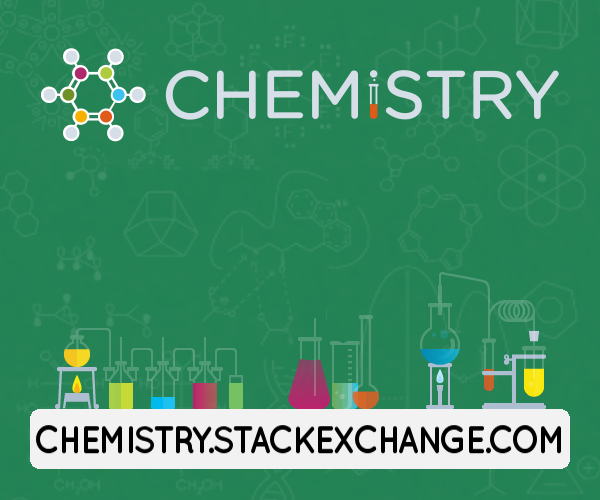 Browse other questions tagged biochemistry dna structural-biology 3d-structure or ask your own question. What experiment for first time showed DNA is anti-parallel?